The subject of many a Mediterranean fantasy and the former playground of the Knights of St John, the streets and alleyways of this azure-watered gem have housed many a secret throughout the ages. Indeed, despite Valletta’s size and exclusivity, you don’t have to become one of Malta’s famed silversmiths to get in on some silver action and in fact, this October you too can embark on unlocking the secrets to your own SilverStripe quest by taking the Valletta streets by storm and taking part in a StripeCon designed to hone your development, publishing and designing skills.  StripeCon is a 2 day community conference dedicated to the SilverStripe Framework & CMS. Organised by the community for the community. evening of Thursday the 12th, for drinks and a warm welcome. Come and join us for a pre-conference BBQ at Sliema Beach. If the sunshine is too liquid for staying at the beach we'll do something inside, like pizza and beer. Did you ever get your head around unit testing? Werner from Austria tells you what you need to get your SilverStripe application tested properly. Time for a big breath and to bring your laptop to your accommodation and refresh for the evening program. We meet at our host's office in Sliema to go for a boat trip in the sea. Enjoy good conversations while having a beer and a stunning view while sun sets down in the mediterranean sea. Did you know that Malta is famous of it's small and cosy pubs? We'll discover some with our personal local pub guide. Time to prepare for interesting talks with a freshly brewed Maltesean coffee. Ingo, Zauberfisch and Andy are discussing "Content Blocks in SilverStripe"
Watch it again... and again... and again! Enjoy a buffet with a lot of mediterranean specialities. Did you know we also took care of vegetarians and vegans? If you're still hungry afterwards we cannot help either. Greg is working at Highlight Media and shares his insights into Requirements Management. Austria's most magical fish tells us how to build your own form field in SilverStripe. You can also have a coffee if you really wish to. Did we already tell that Malta is famous for it's cookies? What is GraphQL good for? Ingo knows it. And presents his insights to this exciting topic. Who is that "Lightning"? And what's the talk about? Nivanka from Sri Lanka tells us how they built a domain name system with SilverStripe. Malta offers more than great talks and beer. At the end of the conference we'll discover the cultural heritage of this proud city. Built in the 16th century and named after the grandmaster of the time, Jean Parisot de la Valette, this largely baroque World Heritage Site is filled to the brim with history, culture and character. With its high bastions, intricately adorned churches and hidden passageways into the unknown, it is little wonder that the ruling houses of Europe gave this mighty city the nickname, ‘Superbissima’. Tasked with creating a city that the world would envy by the Knights, Francesco Laparelli departed from the parameters set by medieval Maltese architecture and came up with a plan to use a rectangular grid shape as the city’s template, however, around each corner, highly ornamental niches and statues can be found in the most unexpected places. While the Second World War had devastating effects on certain parts of Valletta, the crown jewel which lies at its centre, St John’s Co-Cathedral, emerged unscathed. St John’s is not only renowned for its opulent beauty but it also houses the only signed Caravaggio in existence. Come and join us for a pre-conference BBQ at Sliema Beach. If the sunshine is too liquid for staying at the beach we'll do something inside, like pizza and beer. The new designer-styled 4 star be.HOTEL is conveniently located within the Bay Street Tourist Complex which is sited right in the very heart of Malta’s top leisure and entertainment destination – St Julian’s. The hotel is within easy walking distance of the blue-flagged sandy beach of St George’s Bay and the vibrant nightlife of Paceville and St. Julian’s that offer a wealth of choice in restaurants, bars, casinos, marinas, cinemas, a bowling centre and other entertainment establishments. Situated in the exclusive beachside resort of St Julian’s, InterContinental Malta is just seven kilometres from Valletta, Malta's capital city, and within walking distance of some of the islands finest shopping and entertainment locations. Unwind by our lagoon styled outdoor pool, or simply enjoy a day at our private sandy beach. With six restaurants and six bars, some seasonal, InterContinental Malta offers an array of dining options designed to enhance your stay with us. Hotel Kennedy Nova is a family run hotel established in the 1960s and still pertaining its reputation as a 4 star hotel located in one of the most popular touristic spots on the Maltese Island. It is only a few minutes walk to Sliema, with bus stops just infront and a nice promenade where one can enjoy a lovely walk by the seaside. St Julians Bay Hotel is a 3 star hotel located in St Julians enjoying views of a picturesque bay named Balluta Bay. In front of the hotel one can find a nice promenade with cafes and restaurants. Walking by the promenade one can arrive to Paceville, a nightlife spot for both locals and foreigners filled with clubs, bar and restaurants. Founded in 2003, Highlight Media is an authority in high-end lead generation. We are responsible for sending millions of visitors to our clients' websites every year, through both online and mobile channels. SilverStripe Ltd was founded in 2000 by three people passionate about the limitless possibilities of the web in Wellington, the capital of New Zealand. Together Sam Minnée, Tim Copeland and Sigurd Magnusson brought to life the SilverStripe CMS/Framework. They shared a vision: to reshape business through the web. Now SilverStripe CMS/Framework has been downloaded over 1 million times and is supported by over 24,000 members in the open source community all over the world. With their knowledge of hosting both big and small SilverStripe sites, Twisted Bytes offers hosting specific for SilverStripe. Work together, think ahead and be flexible. Terms you don't quickly associate with hosting companies. That's why Twisted Bytes does it differently. For over a decade, Innovatif has been at the forefront of digital transformation. Using a broad range of integrated digital services lead by a highly experienced team of professionals and a constant drive for excellent user experience, Innovatif works closely with its clients to help shape the digital landscape and enable company and brand growth. A new perspective on your business, new ideas for the changing world. Hamaka is the name, providing solutions is their game (Hamakaaa!). Hamaka is a digital agency in Utrecht (Nederland). Specialised in websites, online software and MailChimp newsletters. Their websites are easy to spot; Beautiful designs, easy to navigate and they always function as they're supposed to. A web agency based in Esbjerg, Denmark with the focus on close relationships, quality, quick response and unique, user-friendly solutions that deliver value to customers. You get professional and honest advice, help with online marketing, design, technical development and implementation of online solutions. A a specialist for e-commerce solutions since 2004 and creator of the open source e-commerce framework SilverCart. The german company has acquired vast experience in developing and hosting SilverStripe based websites and never looked back after deciding to use the Kiwi Framework. A Stockholm-based web agency, specialised in e-commerce, front-end development and web strategy. Get the strongest, most effective developer tools on earth. By automating routine checks and corrections, our tools speed up production, freeing developers to grow, discover and create. JetBrains is sponsoring us with 1 License to give away during the event. One-click delivery for web developers. Easily define your delivery process with ready-to-go actions: from builds & tests, to deployments, custom scripts, and website monitoring. Bring the newest tech to your team’s stack with native Docker support: containers, microservices, Kubernetes, and more. pixelpoems is a web agency from Vienna, Austria. They develop effective digital solutions, from concept through design to implementation. A small web studio in the heart of Bavaria with a passion for SilverStripe, Vue.js and Ionic. Highlight achieves this through maintaining a well-established network of over 120 brands in 30 different countries across multiple segments, including casino, poker, iGaming, and finance. We are always looking for opportunities to break into new verticals. Currently we have a strong presence in a number of verticals, which include: E-Gaming, Personal Finance, Business Finance, Web Hosting Service, Mortgage Loan and Insurance. We have been using the SilverStripe framework for the past 10 years to build websites in the different verticals we are active in. As a framework, we found it to be flexible and easily adaptable to the ongoing changes needed to reach different targets in any project’s lifespan.